As health and safety levels become tighter, construction companies are obliged to ensure that the public and their own site workers are protected from as many incidents as possible on site. Antel Debris Netting has many uses on site from scaffold protection through to Heras screening. When used on perimeter site fences this creates a barrier against blowing rubbish debris. 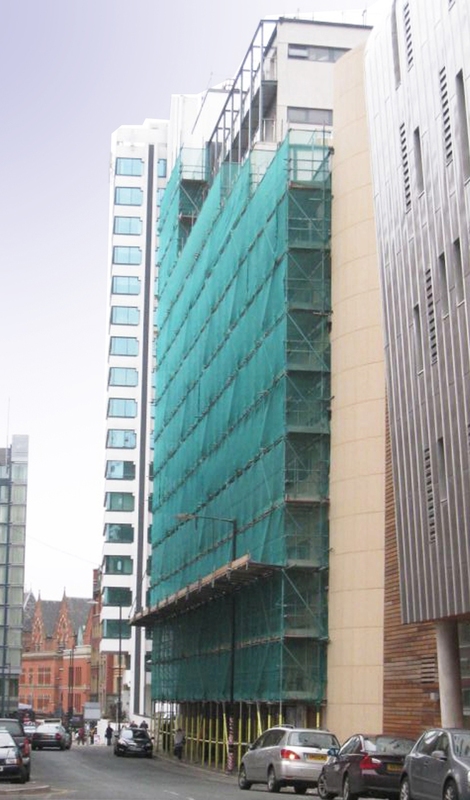 Debris Netting provides contractors with peace of mind and as a result, the public can walk through or past scaffolding without having to worry about work going on above. Available in either blue or green why not give The Site Book a call and get your site protected today. Posted in Antel, Debris Netting, External Protection. Tagged Antel, Debris Netting, External Protection.